The 2018 season finally came under orders for Bedford House a couple of weeks ago having endured a torrid time with the weather. It feels like winter has been never ending with the Beast From The East hitting the UK at the beginning of March and then the grass gallops becoming too soft for fast work due to the constant rain since. However, it has been the same for everyone and the Jockey Club Estates have done an excellent job at keeping the other gallops around Newmarket in good condition. 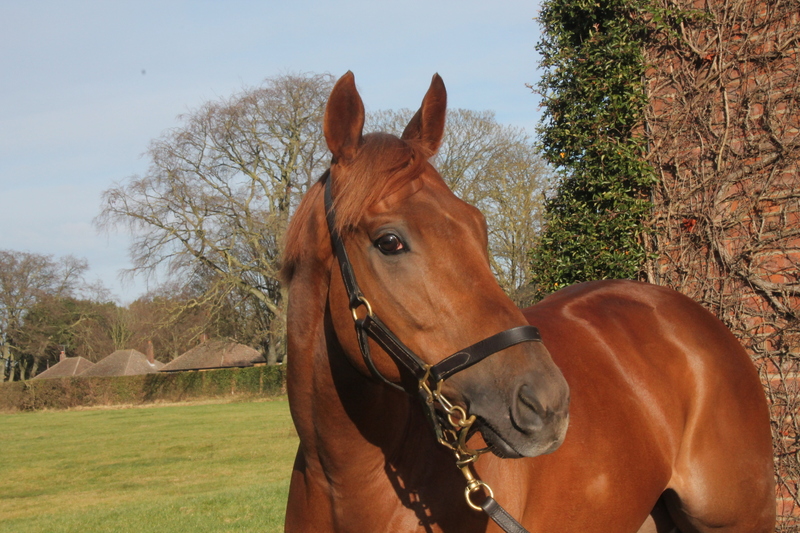 Our first runner of the year was Warsaw Road (pictured) at Kempton in a seven furlong handicap and he was running under the new partnership of Ventura Racing 1 & Partners. This comprises of new syndicate owners to Bedford House, Ventura Racing, and our old friend, Mr Paul Silver, who has been involved with the yard for numerous years. Warsaw Road ran a creditable race to finish a fast finishing fourth and will surely come on for the run. He will also be better over a straight seven furlongs and there is the potential to stretch him out to a mile. His next target will be the Victoria Cup at Ascot although he may be too low in the ratings to secure a run. Wilson was unlucky to be drawn in the middle of the track at Newmarket the following day as the race developed on the far side of the track in the first 100 yards and scuppered any chance he may have had. Buxted Dream also had no luck in running at Bath on Friday 20th April as he was hampered coming out of the stalls and found himself at the back of a 15 runner race which was a position he found impossible to overcome. Coolongolook ran a nice race at Newbury on Saturday 21st April to finish third over a mile. He has earned himself a rating of 80 and now that he is eligible for handicaps there will be more options available to him in the coming months. Fairlight made an encouraging racecourse debut at Nottingham on the same day when finishing third in a maiden over a mile and a quarter. This was a nice introduction to racing for him and he will come on for the experience. Drill reappeared for the season at Yarmouth last week and finished third in a novice over a mile. We only managed to get him to the racetrack once last year so he will have another run in a novice or maiden before being eligible for handicaps. He will probably stick to a mile for the time being although he is bred to stay further. Recollect did not disgrace himself at Doncaster on Saturday even though the soft ground was not to his liking. Again, he is another that will also come on for the run especially on a faster surface. Looking ahead, God Given is in good form at home and has strengthened up well over the winter months. Unfortunately, there are no Group races for older fillies over a mile and half until the Group 3 Betway Pinnacle Stakes at Haydock in June. We are currently discussing with her owner if, prior to the Pinnacle Stakes, she should take her chance in the Group 2 Betfred Middleton Stakes at York over a distance that is probably on the short side for her.